This magnificent long necklace features Canelian Stone Nugget Stones. 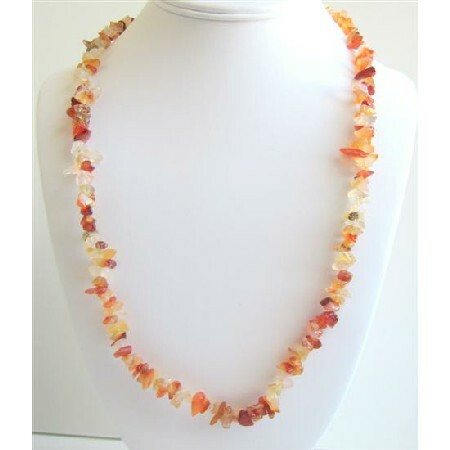 long necklace.A cluster of iridescent semi precious beads Long single Necklace would look pretty with many of dresses. Celebrate your individuality. Variations in the color & pattern beads add the beauty to the necklace.